There could be many situations when you could lose a tooth. In such cases, a dental implant ensures that an artificial tooth is set into your jawbone and you retain the natural look of your face. Dental implants don’t just add shape and beauty to your face but also assist you in natural speech and eating. It is when you feel natural again that you can be confident about everything you do. 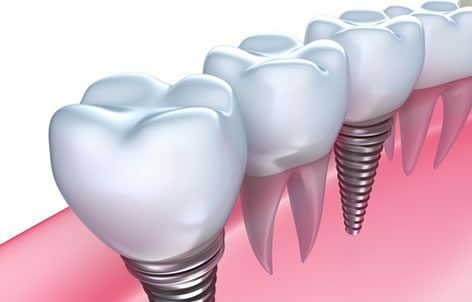 At DrPauloPinho.com.au, we offer the high quality of dental implants from renowned medical manufacturers. Our dental implant crown costs just about $1350, the best deal among Sydney dental implant clinics. Depending on your situation, you can have your natural look back in about $2850. The price difference between individual dental implant systems has been never more than $100. With most modern dental implants being done in a similar way, you are never paying too much or too less. The things you are charged for is the extra hours of labour and not a better brand. At our clinic, we choose to keep it affordable and unlike other service providers, you will not have to spend thousands of dollars. All of this is possible with our years of experience and highly skilled surgeons. As of 17th August, 2015, we have been using dental implants on SA or SLA treated surfaces, unless otherwise demanded by our clients. SA and SLA surface have been known in the industry for the state of the art technology and natural positioning accruing from optimal surface roughness, and an early cell response allowing faster results. If you have been thinking about going to Thailand for cheap dental implants, you have a solution back home now! We offer the lowest cost of dental implants in Sydney, even lower than Thailand! Generally, in the past, missing teeth have been restored with detachable dentures and bridges that connect to the adjacent teeth. It could harm the teeth and leave you with significant difficulties when anything fails. Dental implants in Sydney enable us to present you with a solid long-term answer for missing teeth. With modern day techniques, it is now usually possible to take out a damaged tooth and replace it with an implant in just a single surgical method. How Dental Implants in Sydney Work? Dental implants act similar to your real teeth as they are built like your regular teeth. They consist of a titanium root and a high-quality ceramic crown. This root is fixed in your jawbone. Titanium material is employed as it is biocompatible — not only is it harmless, but it can be fused into your jawbone! Now the root is protected with an exceptional ceramic crown. It not just imitates the appearance and lustre of your actual teeth, it is quite durable and endures your biting intensity. Since dental implants in Sydney are inserted into your jawbone, it may not suit you if you have encountered earlier a loss of jawbone matter due to periodontal or other dental issues. In which case, we can discuss the other ways to deal with your missing or damaged teeth. Many dentists advertise that they indeed install dental implants. However, if you review, you will notice that most of these dentists don’t carry out the complete implant process. You will obviously be directed to a specialist, like an oral surgeon, to get the cheap dental implants in Sydney installed. At No Gap Dentists, we’re distinctive. Our dentists are able to perform the whole implant procedure. In other words, you will get complete care along with every detail about dental implants cost in Sydney. With a single dentist taking care of the whole process right from start to finish, the method will have total flexibility in preparation and execution. Therefore you don’t need to visit another dentist who may not have full knowledge or feel convenient, and it decreases the number of appointments you need to finish the process.